Portland's celebrated food cart chefs create artisan meals by combining world influences and the finest local ingredients. 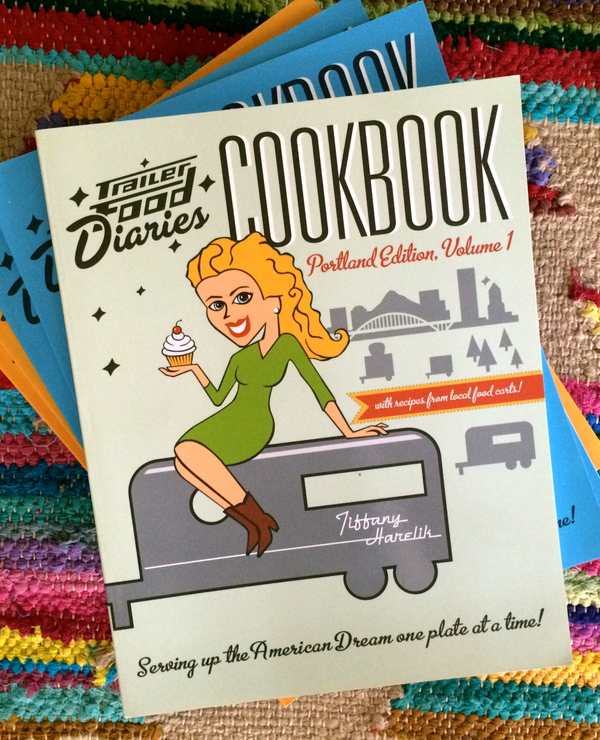 Tiffany Harelik brings her Trailer Food Diaries Cookbook series to Oregon to capture the histories and recipes of these creative and passionate entrepreneurs. Meet the local chefs, explore the food cart scene and sample from a savory array of gourmet dishes. From Alligator and Chicken Jambalaya to Pendleton Pie, and from Breakfast Gnocchi to Wild Mushroom and Kale Pate, this mouthwatering collection of recipes offers something for both the food cart novice and the tried-and-true cart-ivore. 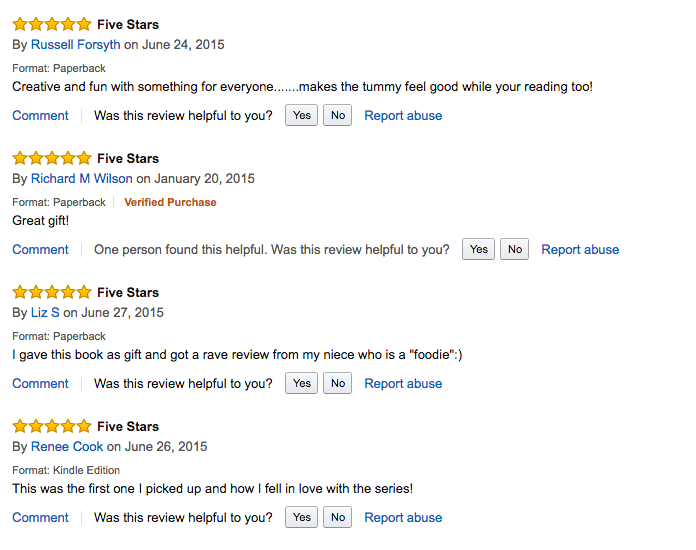 Purchase the book here. Portlanders have always had a taste for fresh local foods served up with a lack of pretense. So it's no surprise that food carts have emerged as a popular way to showcase a variety of flavors to hungry locals. While the business is a competitive one, the most unique and culturally diverse food trucks are able to thrive. From new spins on old classics--like the meatball sub and the spinach salad--to innovative creations like the Sriracha Mix-a-Lot and Peppered Peanut Popcorn Brittle, food carts have established a presence as culinary gems in a city brimming with creative dining options. 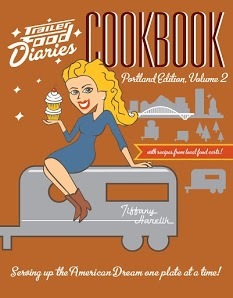 Join Tiffany Harelik, author of the Trailer Food Diaries Cookbook series, as she returns to Portland to celebrate this growing food revolution. Purchase. Oregon Public Radio: Eat Mobile: A Celebration of Portland's Food Cart Culture by Ifanyi Bell. "Harelik, a Texan and the author of the series Trailer Food Diaries, was in town attending Eat Mobile..."
Portland Monthly: 11 Cookbook Events For Every Kind of Eater by Molly Woodstock. " In Trailer Food Diaries Cookbook, Tiffany Harelik celebrates not the cart-owners, but the food itself, from Sriracha Mix-a-Lot to Peppered Peanut Popcorn Brittle." Food Carts Portland: "Tiffany Harelik is one prolific writer with Trailer Food Diaries for Portland, Austin, Houston, Dallas and beyond..."
Another Day: "Thursday evening. I happened to be downtown for a short meetup. Decided to walk to Powell's afterwards. Steven Shomler of "Portland Food Cart Stories" and Tiffany Harelik of "Trailer Food Diaries Cookbook" talked about food truck owners and their stories tonight..."